Facebook or Instagram may be a great place to share your pictures, but sometimes you need to do more than just share your photos with friends and family. Let’s take a look at our favorite free image hosting websites for all your other needs. The chances are that you’ve already used Imgur, whether you realize it or not. It’s one of the world’s most popular image sharing sites. You can upload unlimited images to Imgur, and they will stay there forever. The size limit for a still image is 20 MB and 200 MB for an animated GIF, both of which are more than sufficient. 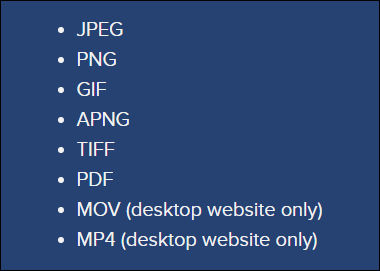 PNG files over 5 MB are converted to JPEGs, and the following file formats are supported. You can use Imgur to organize your images into albums, caption and tag them, and share them with others. You can also browse the hundreds of thousands of images other Imgur users have uploaded. Although an account is not required to upload pictures, we would recommend you create a free account if you have a lot to host or share. Having an account lets you create albums, control the privacy of albums, and upload unlimited images without being throttled. Google Photos is another fantastic image sharing and hosting service. You can upload unlimited pictures to Google Photos for free—as long as each image is limited to 16 megapixels. Images above that resolution count against your Google Drive storage. The same goes for videos over 1080p. As with all Google services, you’ll need a Google account to use Google Photos. Both the browser version and the mobile apps work great for uploading and viewing pictures, and you can even configure auto-upload of the images on your phone from the app. For sharing, you can create albums and then share them via email or various other options. You can also let other people contribute to albums, which is pretty useful. Google Photos also uses machine learning to recognize people, organize your photos, and even create albums. This works great, and you can even search for photos by date, scenes, and even people’s names—which comes in handy if you have thousands of pictures. Flickr was already an active community for sharing photos and videos before being acquired by Yahoo in 2013. After that, it got even better. Currently, you get a whopping 1 Terabyte of storage to host your photos and videos on Flickr. There are no bandwidth limits, but images are limited to 200 MB per image, while videos are limited to 1 GB size and 1080p resolution. On the downside, video playback is limited to three minutes, making it okay for sharing short videos but not much else. Flickr also doesn’t support many photo formats—you can only upload JPEG, PNG, and non-animated GIF files. 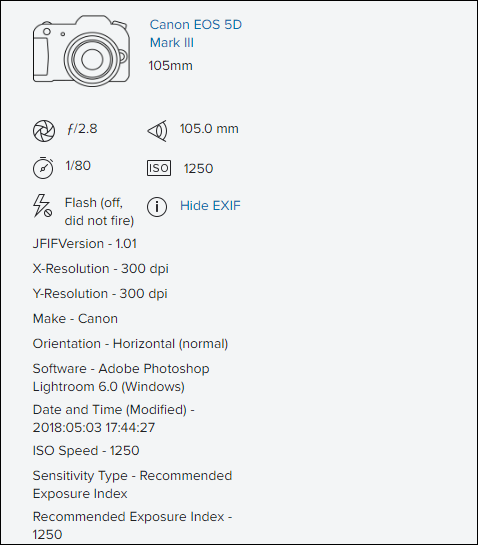 Flickr does preserve the EXIF data of all your images, though, unlike many other websites. This is a feature that photographers and photography enthusiasts enjoy. To upload photos, you can use your browser or the iOS and Android apps. Desktop apps are limited to Flickr Pro accounts, which also offer an ad-free experience and advanced statistics. Similar to Flickr, 500px is a photography community first and an image hosting website second. However, if you are a professional photographer looking to gain exposure, then 500px is the ideal place to be. It’s not exactly an image hosting website as you can’t get a direct link to your images, but you can share your images or albums from the website itself. You can also use the embed option to display your photos on other websites. Since 500px is aimed towards professionals, it does have some strict limits on free accounts. Free users can upload up to seven photos per week with virtually no size limits. The paid plans start at $47.88 per year and include additional features. You can see more details about the paid plans here.